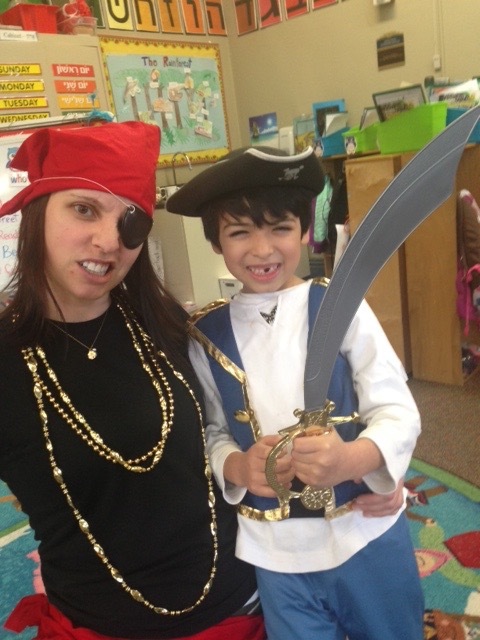 When one of your students realizes their school librarian loves pirates *almost* as much as they do... And you have matching costumes. Best day of kindergarten. Ever.